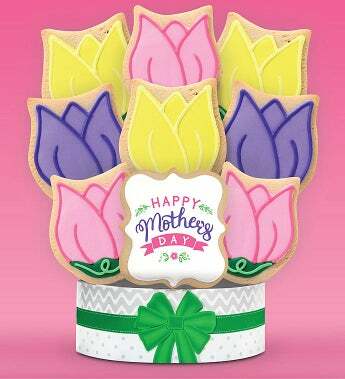 Show your love deliciously this Mother's Day with this beautiful cookie arrangement. These unique buttery shortbread cookies are hand decorated with candy-like royal icing, and individually wrapped with care. Any and all of the moms in your life will be wowed by this gift! Also makes a beautiful centerpiece.